Preparing your parking lot for the upcoming cold season is essential if you want to avoid major damage and enjoy your asphalt for many years to come. Many people don’t realize it, but the winter season can cause a lot of issues for parking lots due to a cycle of freezing and thawing. During the day and on slightly warmer days, rain and melted snow and ice can trickle into any small cracks or holes that you have in your parking lot. Then, when the temperatures dip below freezing, this water will freeze and expand, which can make small cracks and holes much larger and can cause significant damage and even destroy your asphalt. Fortunately, proper maintenance can help prevent these things from happening and can make your parking lot look fresh and well-maintained. The first thing you will want to do – and the most critical step – is to have all of your cracks, holes and other imperfections repaired. This will seal water out of the pavement. Duraseal Asphalt offers crack and pothole repair and can fix these issues for you, which will make your parking lot a whole lot safer while preventing winter damage at the same time. 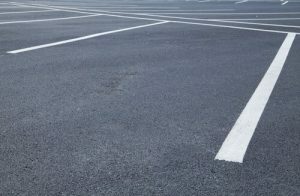 After repairing cracks and holes, (and depending on the time of year) you should also consider sealcoating your parking lot. Sealcoating will help preserve and extend the life of your parking lot, by putting a final “seal” on any damage that can occur through oxidation, water, chemicals and other elements. It will also help disguise all of the repairs that have been made giving it a beautiful, fresh color and look. Sealcoating is only available from spring through the fall, so if you’ve missed that window, you should plan on crack sealing and repairing any potholes to protect your pavement through the harsh winter months first. To ensure that your parking lot makes it through the winter without any major damage and to help it look its best, contact Asphalt Pavement Solutions today for more information about its many asphalt-related services and complete maintenance plans. You can fill out a free quote form for more information about services and pricing, or you can call today at 1-800-559-SEAL.